Especially industries burning coal, oil or waste, share the responsibility to monitor their mercury emissions. All measuring techniques need to be able to tackle the challenges mercury monitoring presents. First of all, mercury is occurring in various forms, including elemental mercury and mercury compounds, as well as mercury that is bound to dust particles. 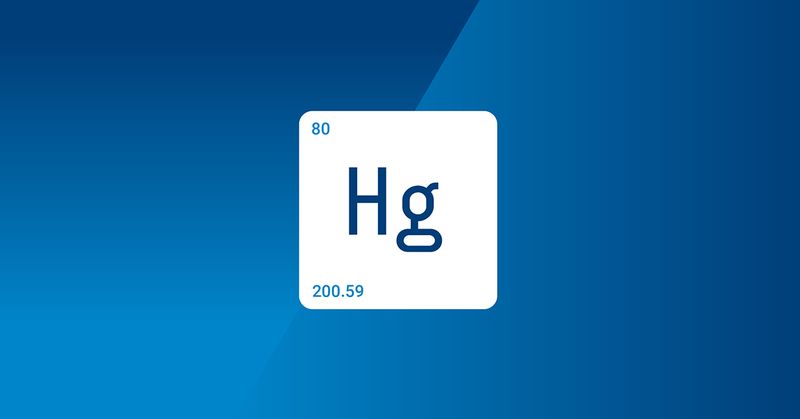 Flue gas includes elemental mercury Hg0 and oxidized mercury Hg2+ in the form of HgCl2. Most continuous mercury measurement methods are based on measuring elemental mercury. This means that the oxidized mercury compounds must be converted to elemental mercury before the measurement. It has to be made sure that none of the mercury compounds are lost before the conversion, and also that there is no recombination of mercury compounds afterwards. Secondly, the mercury concentrations are really low compared to other gas compounds. The concentrations are generally few µg/m3 in waste incineration and power plants. These extremely low concentrations naturally require that the measurement technique has low detection limits. With this in mind, it should be noted that depending on the application and plant, there can also be relatively high concentration peaks from time to time. Because of that the measuring system has to be able to withstand and detect those peaks as reliably as the lower concentrations. Other features expected from mercury monitoring systems are low cross-sensitivity of the system and stable calibration check routines. Cross-interference effects need to be minimized especially as the mercury concentrations are very low compared to other gases in the stack gas. The quality of the measurements can be tested with frequent calibrations and checks. Check routines are preferred to be automatic and adjustable by the user if needed. Especially with CVAF (cold vapor atomic fluorescence), the high sensitivity and selectivity of the fluorescence technique ensures that extremely low mercury levels can be measured accurately. Low detection limit of CVAF also enables diluting the stack gas. With dilution, cross-interference effects from other gases like SO2 and O2 can be eliminated. Continuous monitoring is a particular advantage where abatement systems can be adjusted according to the mercury levels in the plant emissions. Where flue gas treatment is used to achieve lower mercury emissions, continuous monitoring data can be used for example to optimize sorbent injection rates. Non-continuous methods do not provide sufficient insight for process control. In addition, by measuring process emissions over a short period of time, non-continuous methods risk failing to provide sufficient information on the variability of mercury emissions over time and between differing feedstocks. Gasmet’s CMM has successfully completed the EN15267-3 testing with the world’s lowest EN15267 certified range (0 to 5 µg/m3) for measurements of mercury. This new world record makes our CMM future-proof for declining emission limits. Read more about our CMM system and CVAF technology here.